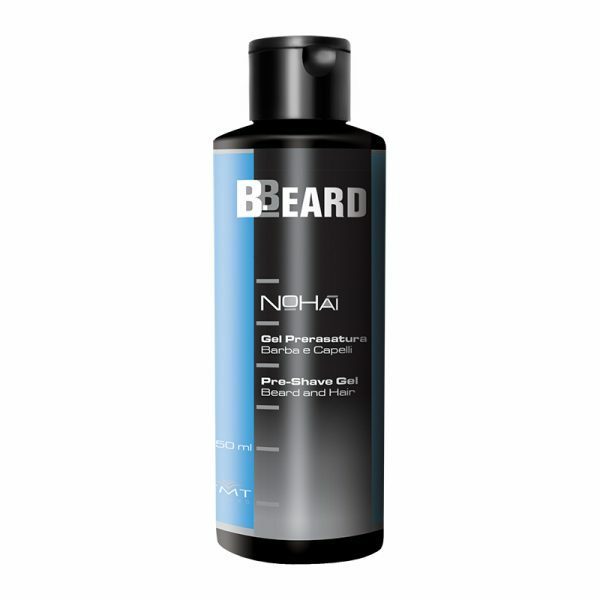 NOHAI Pre-shave gel to apply on face and head before the shaving foam, ensures a perfect, quick and painless shaving. The invigorating formulation with herbal extracts is perfect for sensitive skin: reduces the risk of cutting, softens the hair and prepares it for the shaving. NOHAI is the effective product to get a perfect shaved head and a men's style. How to use: apply the necessary quantity of NOHAI on your face or head. Let it act some seconds, then distribute the shaving mousse and shave. Light fluid with Argan Oil for an exceptionally soft, shiny, scented and tidy beard. The properties of Argan protect from pollution and sun exposure, keeping beard healthy, full and supple. How to use: apply some drops of fluid using a brush or detangling beard or moustache with fingers. Do not rinse. 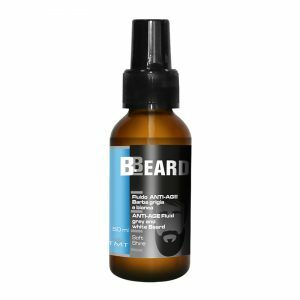 Anti-yellowing fluid with Argan Oil for an exceptionally soft, shiny, scented and tidy beard. Rejuvenates the look of white and grey beard, removing the yellowish tones due to smoke or time. The properties of Argan protect from pollution and sun exposure, keeping beard healthy, full and supple. How to use: apply some drops of fluid using a brush or detangling beard or moustache with fingers. Do not rinse. 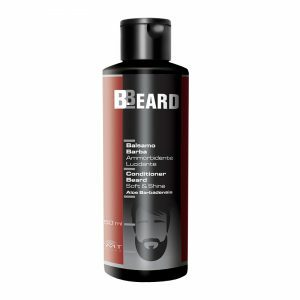 Conditioner for beard and moustache with detangling, shine-enhancing and refreshing action. The formulation with Aloe Barbadensis invigorates and moisturizes, stimulating the growth of a full, healthy and soft beard. How to use: After washing beard with B.Beard Shampoo, apply the conditioner and detangle beard with fingers. Let it act two minutes, then rinse thoroughly with lukewarm water. Softening shampoo for beard with Aloe Barbadensis. Its energizing and moisturizing properties make beard exceptionally fresh, strong and soft. B.Beard cleanses gently, preventing itch and irritation. How to use: Moisten beard and moustache with lukewarm water, apply the necessary quantity of shampoo and massage. Let it act a minute, then rinse thoroughly with lukewarm water.